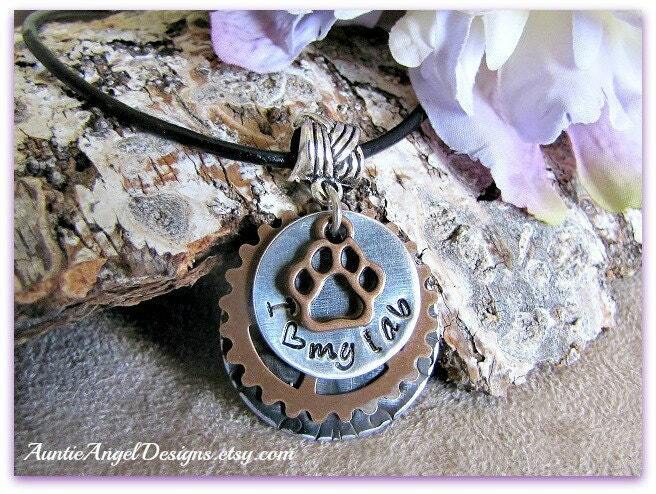 Show the love for your favorite breed of dog or cat with your rescue group and yourself with a hand-stamped necklace by Auntie Angel Designs! 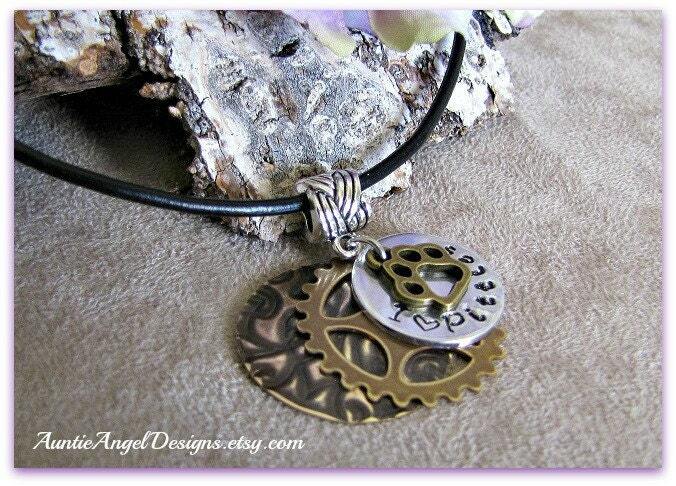 Your necklace will feature a 3/4" aluminum disk with an "I (heart) (breed)" lovingly hand-stamped at the bottom. This disk rests over an independent dark brass steampunk spoke wheel cutout and a third slightly larger disk in antiqued brass or antiqued copper embossed by me. 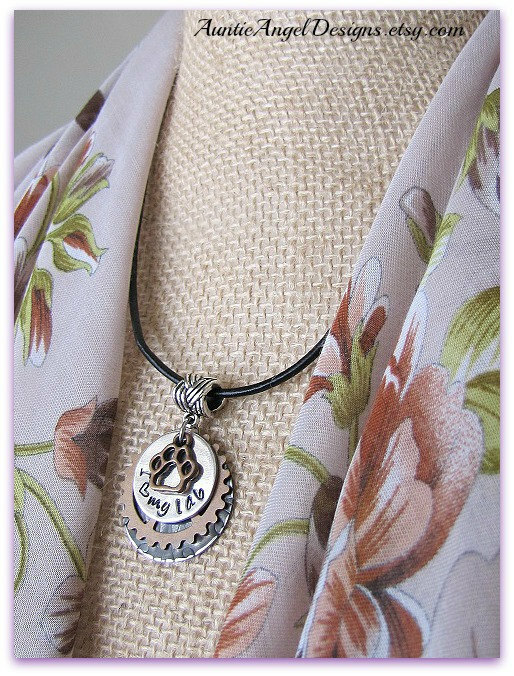 Note: Each embossed disk pattern will vary from necklace to necklace, as will its metal finish. No two necklaces are exactly alike. As each name or saying on the aluminum disk is stamped one letter at a time by me, know that the letters may not be stamped perfectly as if engraved by a machine. Slight differences in orientation and spacing may, and most probably will, occur from piece to piece, which will only add to the character of the piece. A super-cute matching antiqued brass or antiqued copper open paw print charm adds beauty and dimension to this meaningful hand-stamped necklace, which is finished with an 18-inch black leather cord with a two-inch extender chain. 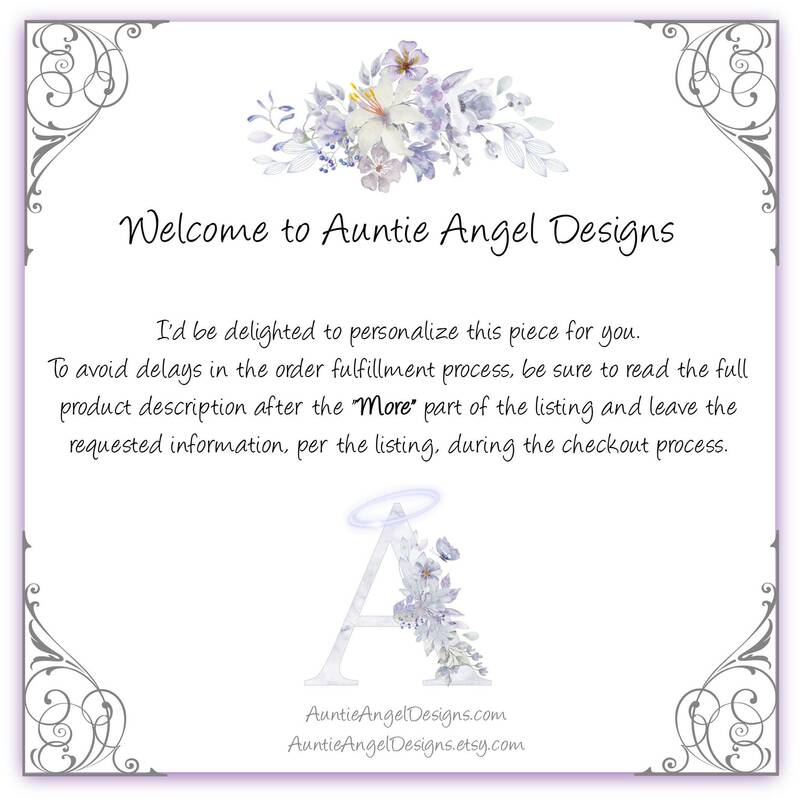 Please leave your stamped name OR phrase -- 13 letter/character MAXIMUM -- in the Note to Seller box during the checkout process if Etsy doesn't prompt you to do so. 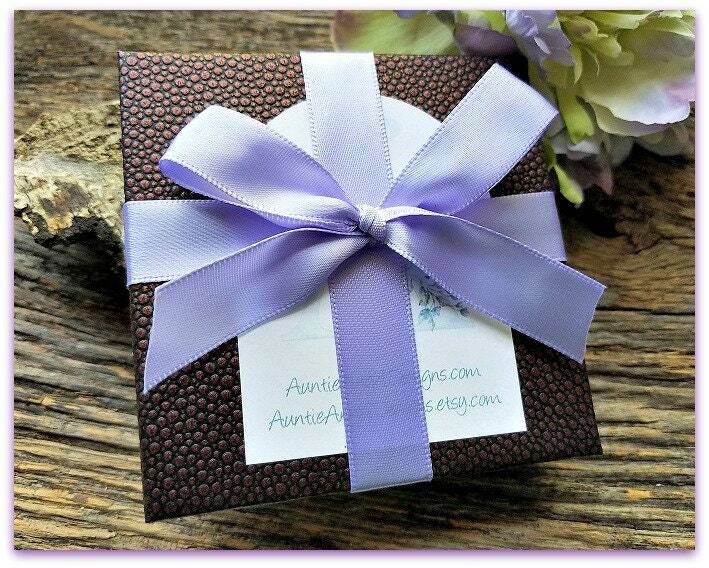 You will receive one necklace gift-boxed with ribbon. 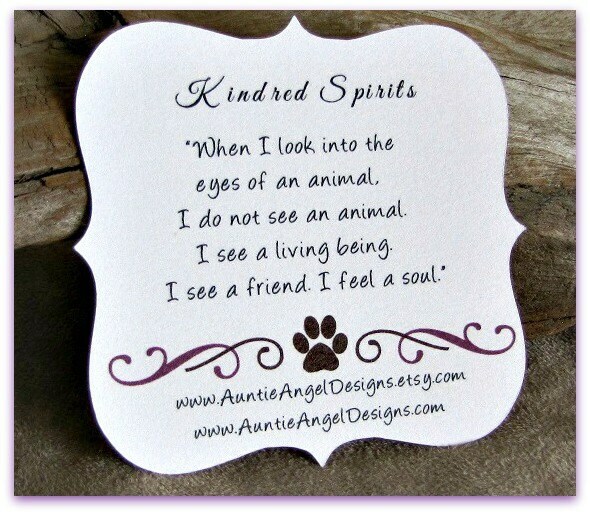 As part of your purchase, I include my exclusively designed "Kindred Spirits" card as pictured. If you are giving this gift directly, please let me know if you need a gift enclosure card and envelope.